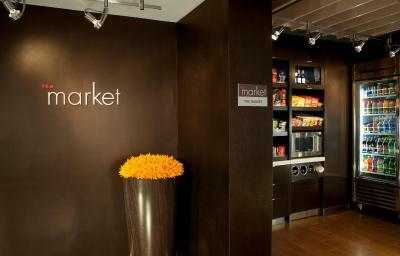 Lock in a great price for Courtyard Norwalk – rated 8.7 by recent guests! Very polite! Nice pool! Great food from the Bistro! Beautiful lobby! Starbucks! The beds are extremely comfortable , and the pool looks wonderful . We liked the clean and quiet,good sized room. Very comfortable bed. It was just what we needed. The hotel staff was friendly and the food/bar was great. It’s was nice to be able to return from a busy day at the aquarium and not have to drag the kids out to dinner. We liked how our room was a walkout to the community garden area. The bed was very comfortable and the shower very nice! The staff was the best of all of my stays and the hotel provided everything you needed. The breakfast was great.....I always look forward to it. 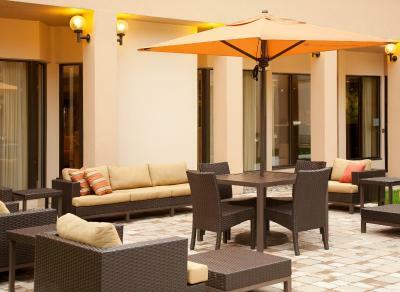 Courtyard Norwalk This rating is a reflection of how the property compares to the industry standard when it comes to price, facilities and services available. It's based on a self-evaluation by the property. Use this rating to help choose your stay! This hotel is in the heart of Norwalk’s business district, located across from the Merritt 7 Corporate Park. 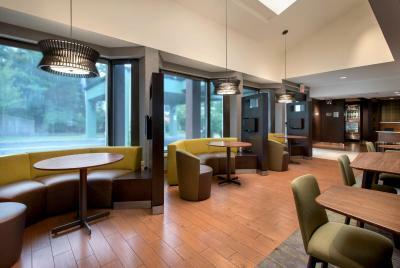 It offers a restaurant and a fitness center. Free Wi-Fi is available. 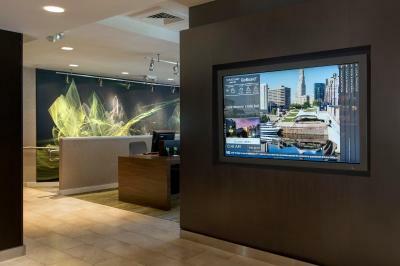 The modern guest rooms at the Courtyard Norwalk haves satellite TV, a work desk, a tea/coffee maker and floor-to-ceiling windows. The Bistro Eat.Drink.Connect serves a large American breakfast as well as delicious dinners and cocktails in the evenings. 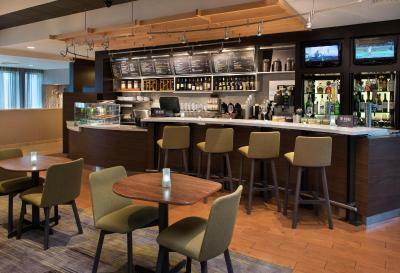 The hotel also has an onsite Starbucks which offers hot and cold coffees and light snacks. Relaxation options at the Norwalk include an indoor pool. 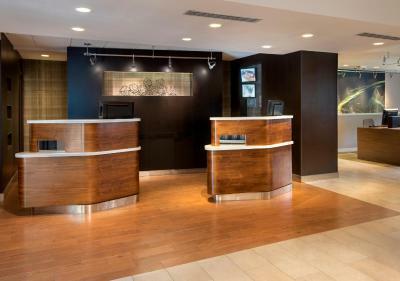 The hotel also offers a 24-hour business center and boarding pass printing service. 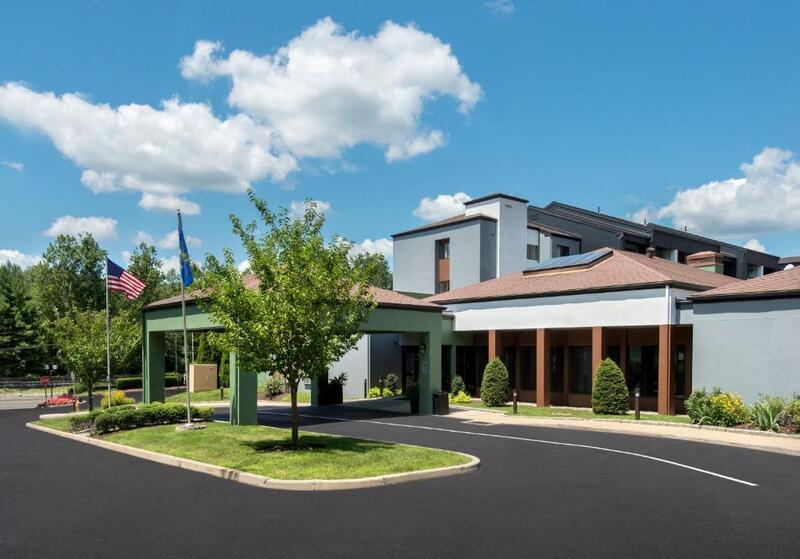 The Norwalk Courtyard by Marriott is 5 miles from Maritime Aquarium and 8 miles from Calf Pasture Beach. 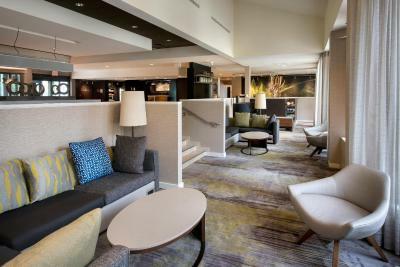 When would you like to stay at Courtyard Norwalk? This room features a sofa bed, cable TV, coffee maker, and desk. This room features cable TV, a coffee maker, and a desk. 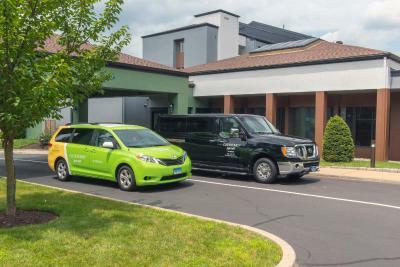 The Courtyard Norwalk is just 7 miles from the train station, 19 miles from HPN airport & 17 miles from Webster Bank Arena. 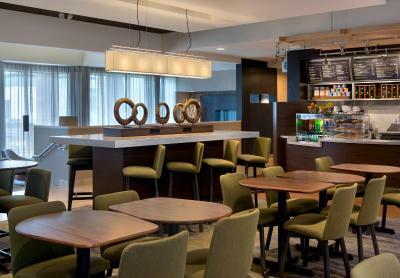 Enjoy spacious rooms, free Wi-Fi, a multifunctional lobby, flexible event space, on-site dining, fitness center and indoor pool. House Rules Courtyard Norwalk takes special requests – add in the next step! Other Courtyard Norwalk accepts these cards and reserves the right to temporarily hold an amount prior to arrival. Courtyard Norwalk accepts these cards and reserves the right to temporarily hold an amount prior to arrival. I enjoyed it but it was on the high side of my budget. nothing , loved everything . The pool water was comfortable but the air was cold. There was a very noisy fan running. Not a place to sit and relax by the pool. Very well kept, clean. Easy to access. Rooms and hallways need updating to match lobby. The pool was very cloudy, you couldn’t even see the bottom. Also, during the weekdays the breakfast at the in-house Starbucks closes at 9:30. I would have like to get some orange juice and yogurt after 9:30.